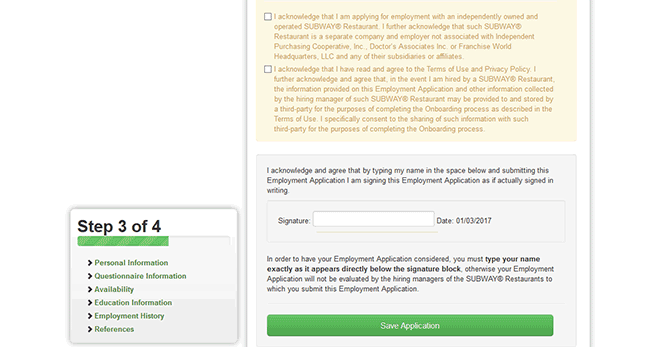 The Subway job application can be filled out online (using Subway’s online job portal) or by downloading the form in .PDF format (via the link on this page). One of the advantages of filling out the application online is that you can apply to multiple locations at the same time. However, if you submit an application in-person you might be able to meet the manager (and potentially have a better chance at getting the job). 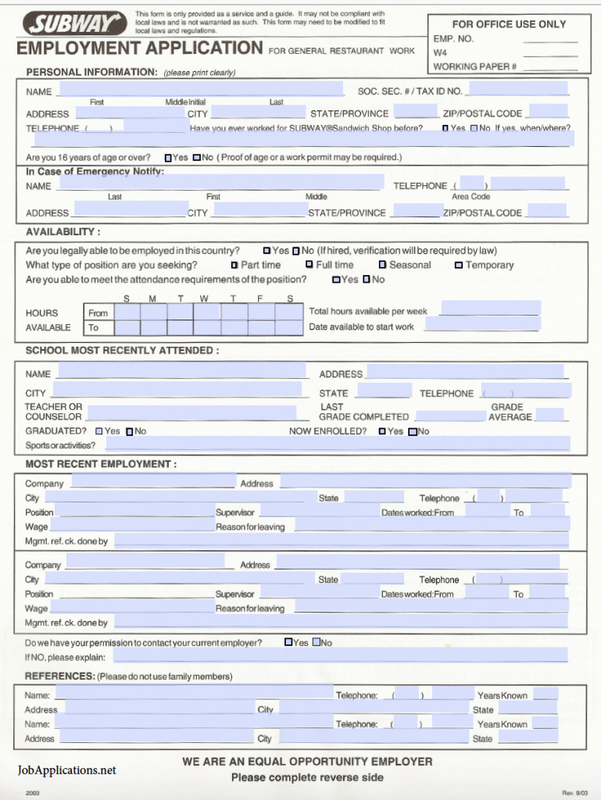 In any case, use the instructions posted in the sections below to learn how to properly fill out the online/offline application. 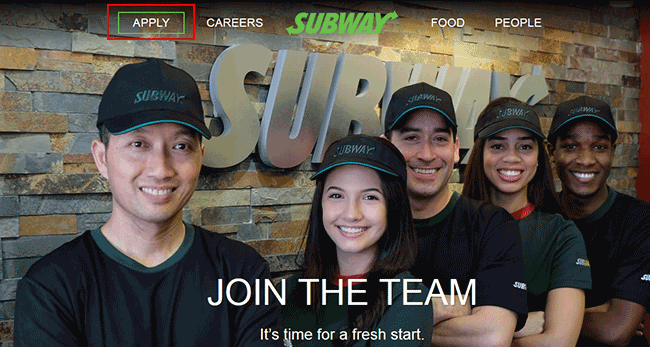 Step 1 – Go to the main Subway careers site (click here to open the site in a new browser tab/window). 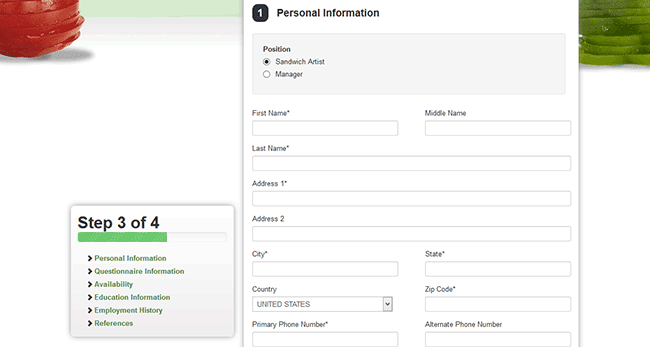 Step 2 – Select which country you reside in (from the drop-down list) and then press the “Select Country” button. Step 3 – Click the “Apply” link. 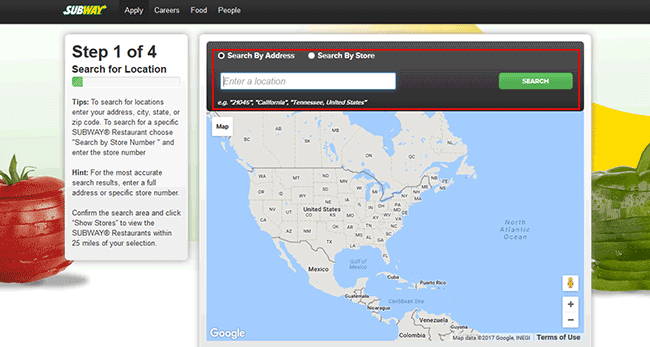 Step 4 – Search for locations in your area by entering your ZIP code (or City/State) and then pressing the “Search” button. 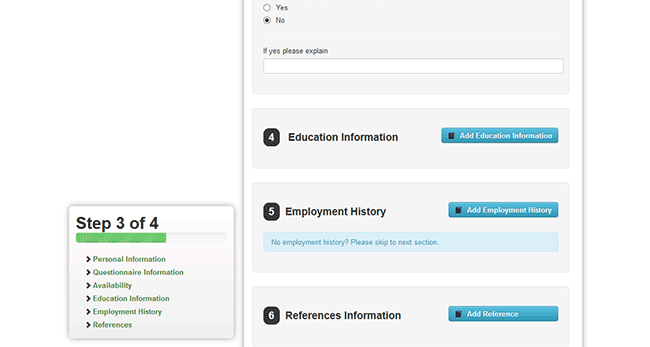 Step 5 – Select which locations you would like your application sent to by checking the corresponding boxes. Click the “Continue” button to go to the next section. Note: You may be required to enter your email address for anti-spam/verification purposes. 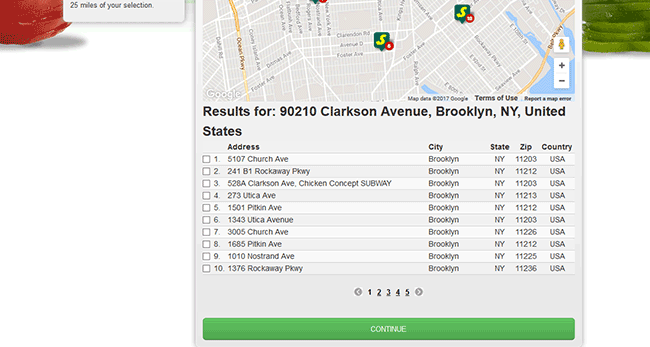 Select whether or not you have worked for Subway before. Enter if you’re legally employable (yes/no). Submit your preferred start date. 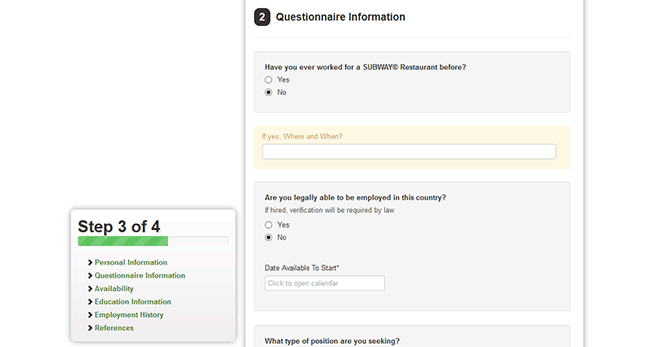 Select if you want to work full or part-time. 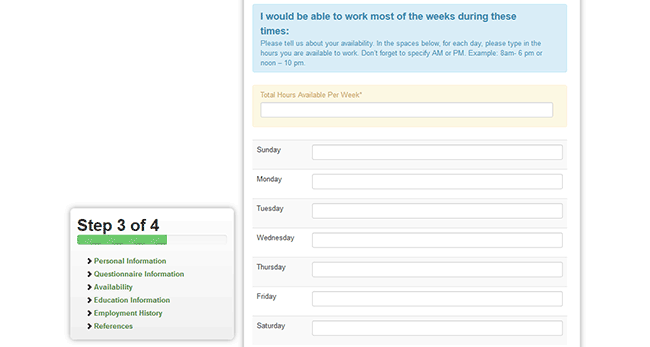 Submit the total number of hours per will that you will be available to work. Fill in your day-to-day availability. Enter whether or not there are days/hours when you will not be able to work.